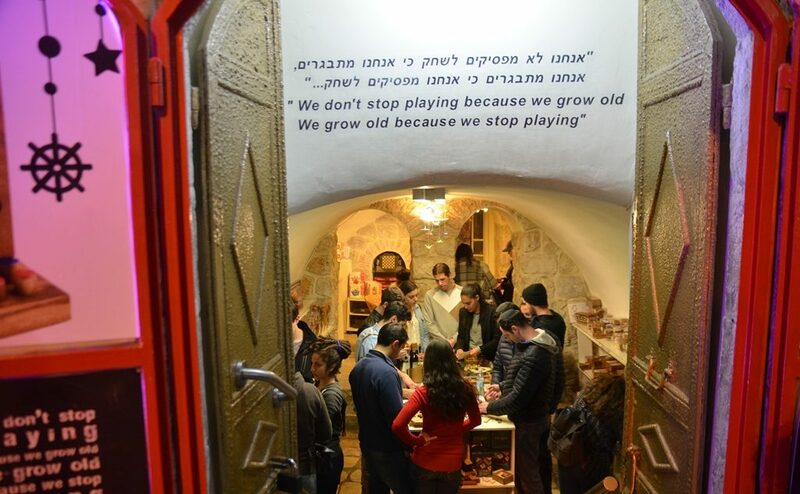 Winter in Jerusalem, Israel, is so different than those we experienced in the US. Being used to those long Boston winters with piles of snow into June and New York where tree branches remained bare for months on end, the greenery popping up all around is always a pleasure. When the rain stops, the sun comes out, and things turn green. 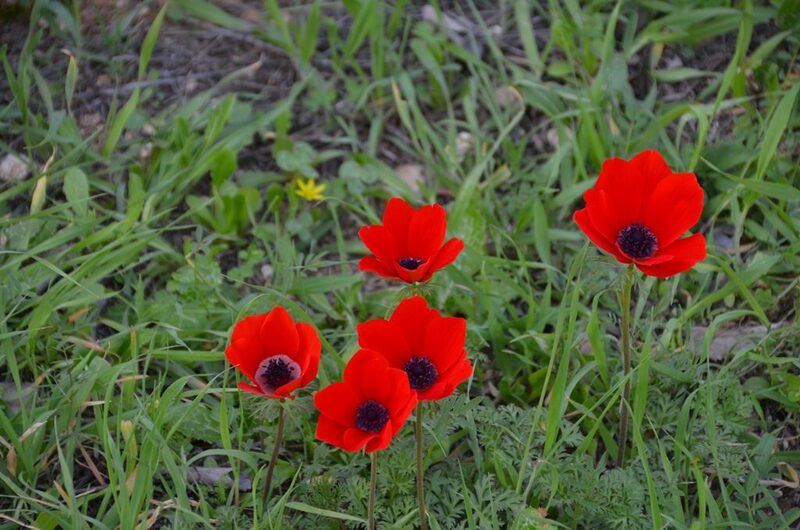 The first spotting of wild Kalaniot, anemones, is an annual favorite. Tourists and locals are enjoying the unseasonably warm weather. 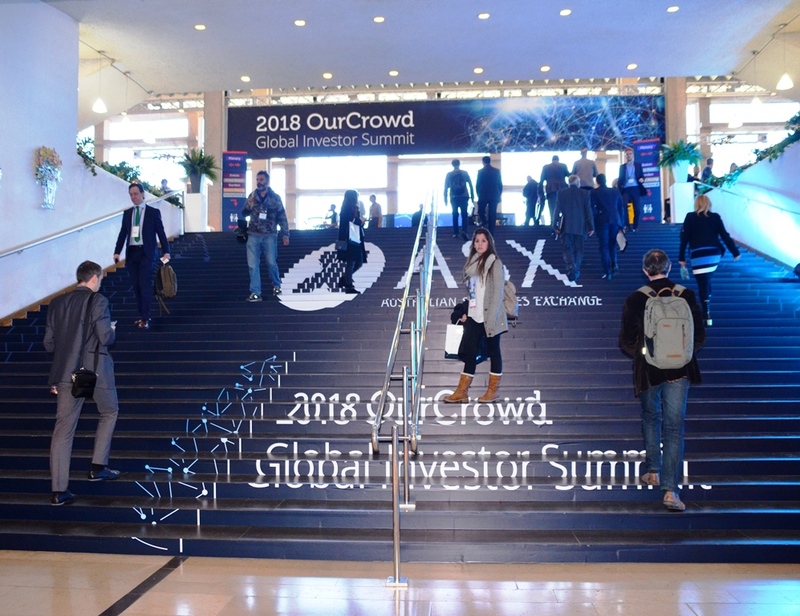 The OurCrowd Global Summit attracted 10,000 people to the Jerusalem International Conference Center. I had always used this stairway to get to the entrance, but the stairs were gone this time. 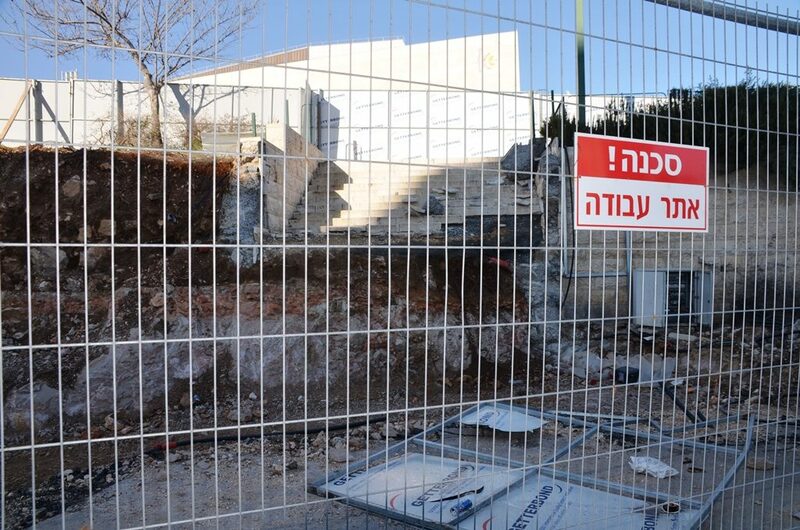 With so much construction in Jerusalem, you never know what you will find, or not find. 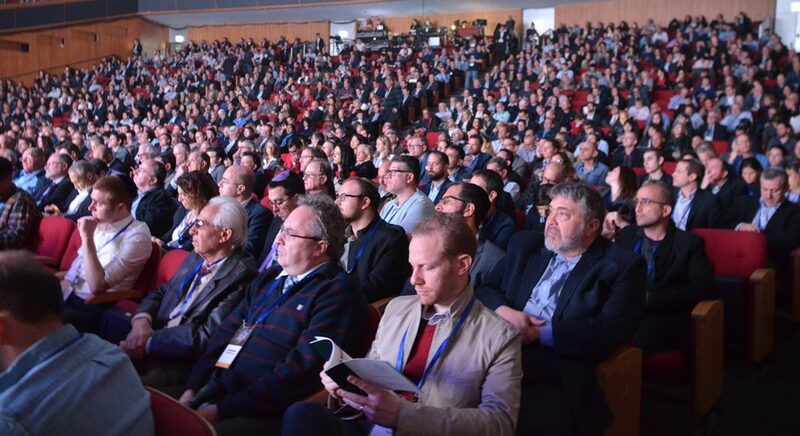 The auditorium was full for the opening plenary. Jerusalem Mayor Nir Barkat was a featured speaker in the morning. 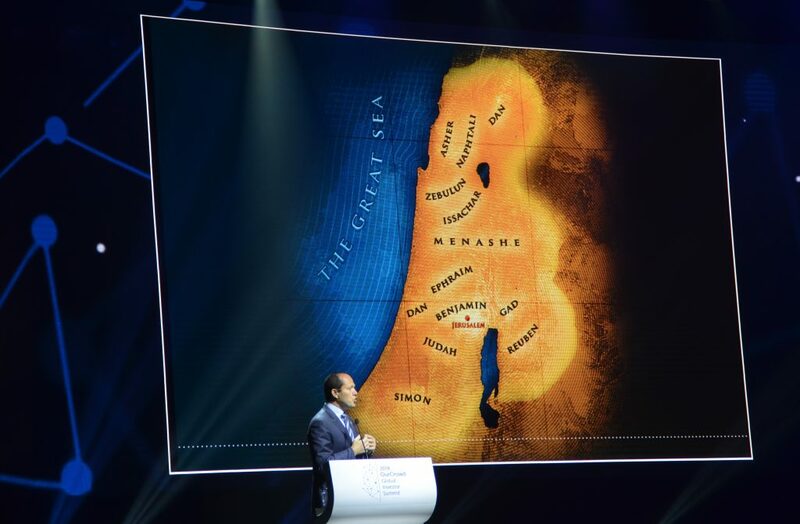 Jerusalem of the ancient past appeared in this slide in his presentation, but the focus was on the future. 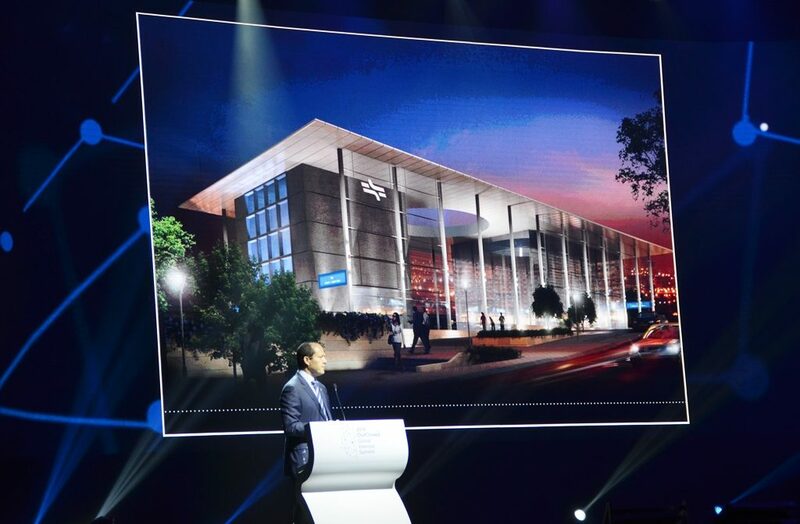 This is a photo of the future fast train station. 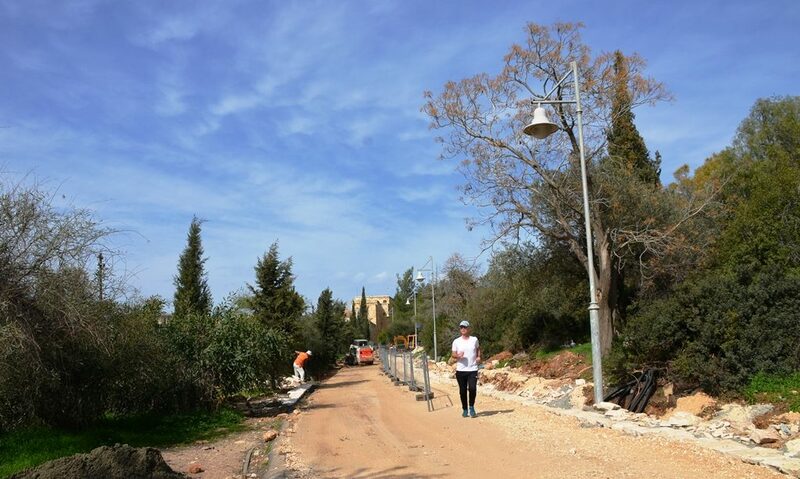 He promised it would be ready soon, with a ride of 28 minutes from Jerusalem to Tel Aviv. However, beside mega-events like OurCrowd, dozens of smaller events are held nightly. 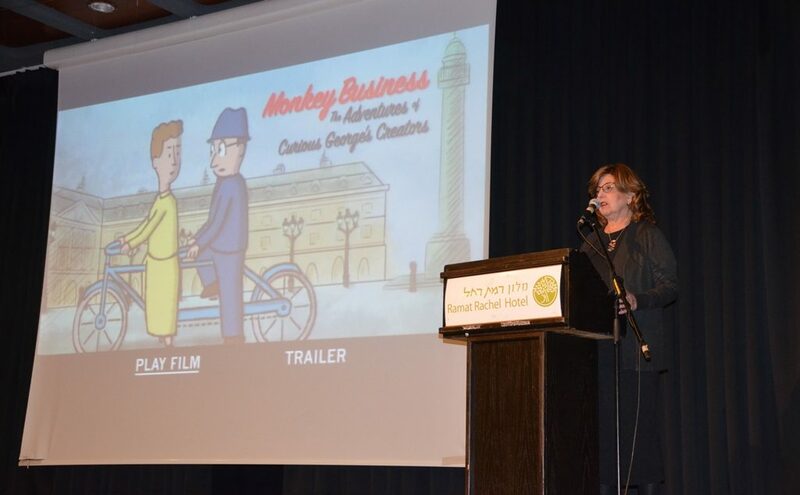 On Sunday night, AMIT-Emunah Jerusalem held an annual movie night featuring “Monkey Business,” at Ramat Rachel. The story behind the “Curious George” children’s books, and the Jewish authors journey to survive the Holocaust was fascinating. 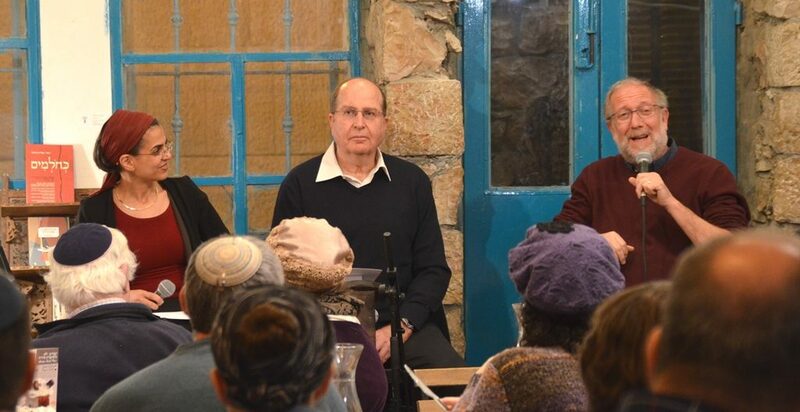 Then at Tmol Shilshom, in Nahalat Shiva, Author Yossi Klein HaLevi discussed the Hebrew version of his book on Israel in 1967, “The Dreamers,” with Moshe “Boogie” Ya’alon, with Anat Mufkadi moderating. 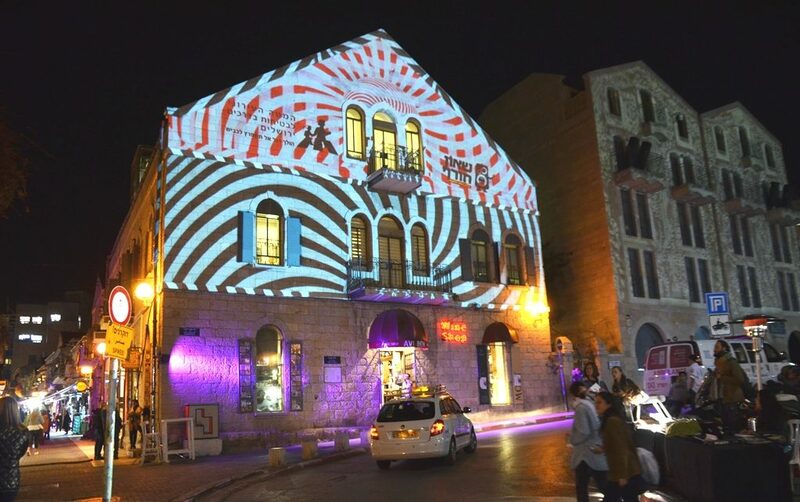 Monday nights in February, in various Jerusalem neighborhoods, streets are the setting for a cultural festival called Shaon Horef, or Winter Noise. Not only does the location vary, but so does the quality of entertainment. 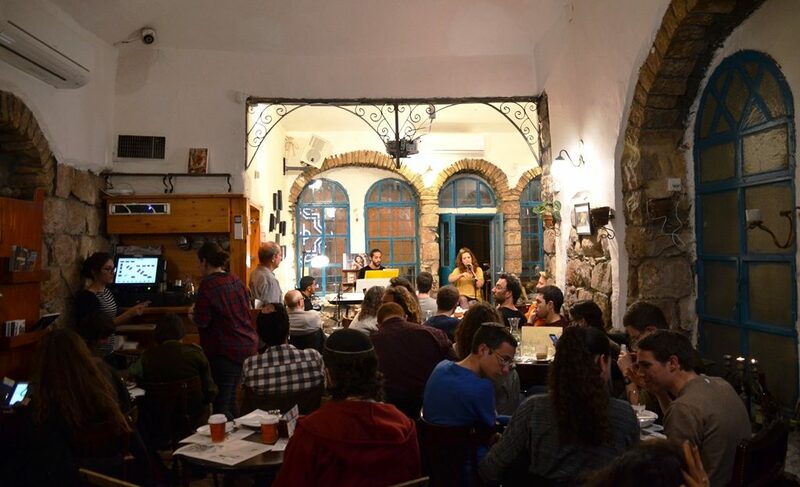 February 5, 2018, the event took place in Nahalat Shiva, off of Yoel Salomon Street. There were light projections on buildings, music, and more. Improv acts, one of the free entertainment events, drew a crowd in this small alley. Some shops were involved. Bands provided music on the streets late into the night . Tmol Shilshom was again filled for musical performances. 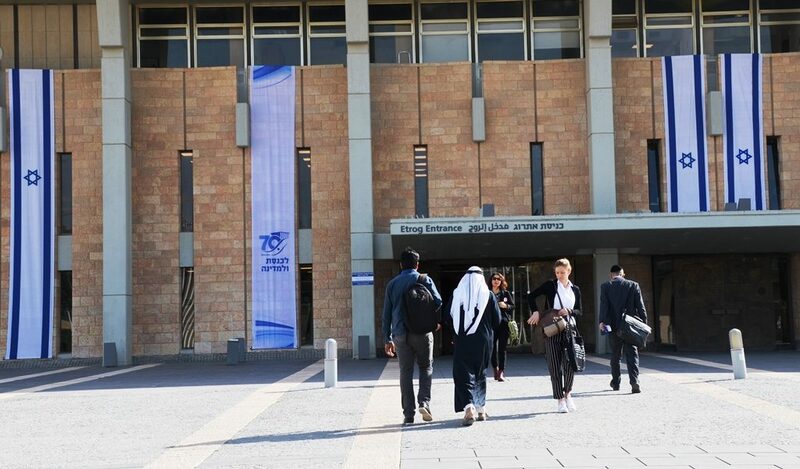 As we enter the 70th year since the establishment of State of Israel, get ready for more events and mega-events. 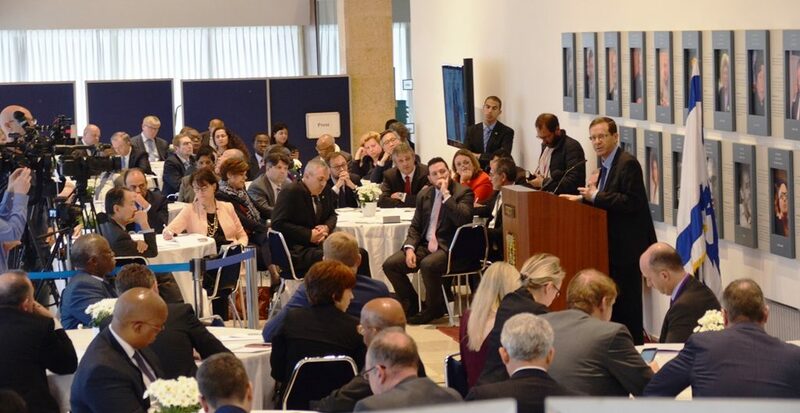 Ambassadors to Israel were hosted for an annual gathering at the Knesset which also celebrated its 70th. The Knesset opened on Tu Bishvat back in 1949. I wondered if the diplomats from around the world noticed this Arab tour group in the Knesset at the same time? However, the real streets did not focus on visitors to the Knesset this week. Signs are up to register for ganim, nurseries and school for next year. For many families, the big event last week was report card week. The sun was shining and the weather was warm. 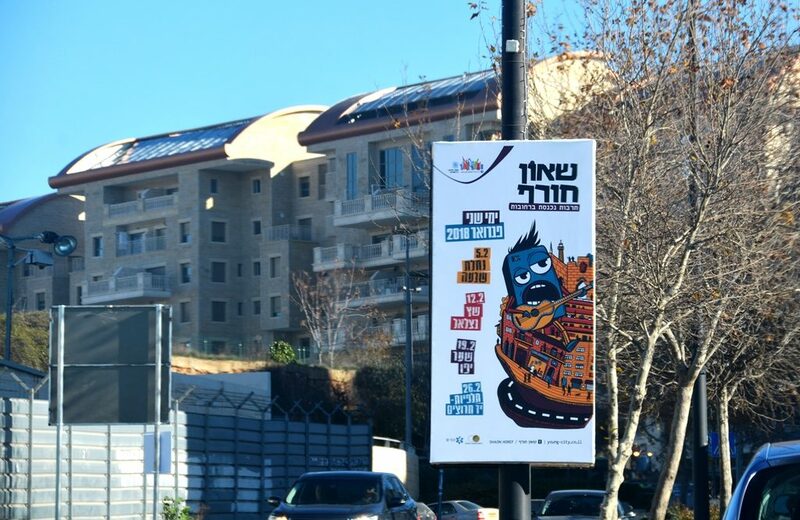 Runners have been out training for the Jerusalem Marathon on March 9th. Will all the construction be done in time for the race? This has been the final few meters in the full marathon in the past. 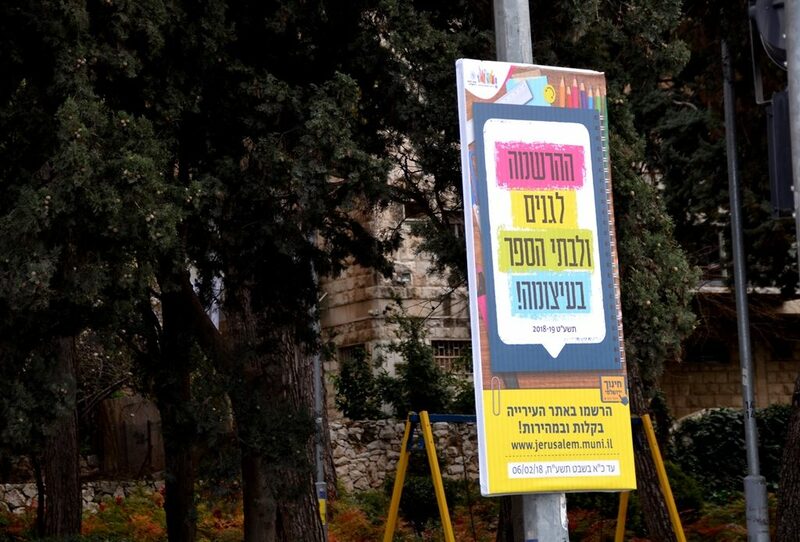 Even in winter, as always, so much is happening on the Jerusalem streets.